Spring is trickling slowly but surely into the Northeast. After a few days of rain followed by some chilly, bright sunshine, we can even see a bit of lawn starting to reappear. It’s still too cold here to really start thinking about wearing summer clothes, but I’ve hit my limit with the repetition of the winter wardrobe. This is when I reach for quick to knit projects in warmer weather yarns. New England spring is notoriously fickle. Cold in the morning, hot in the afternoon and frigid again as soon as the sun sets. I carry a sweater with me wherever I go in all but the warmest months. I love bulky cottons for extra coziness that’s still cool and comfortable. 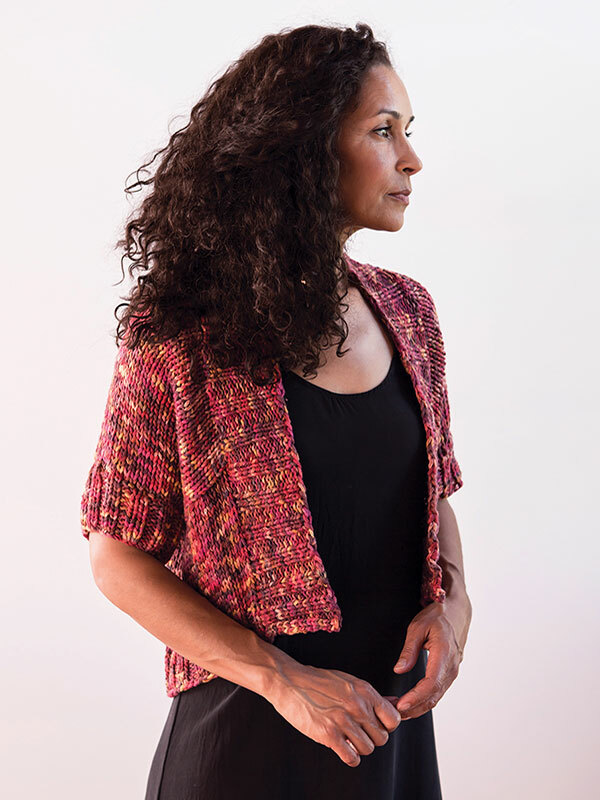 Berroco Karma is my favorite 100% cotton yarn, I’ve written about it here before. 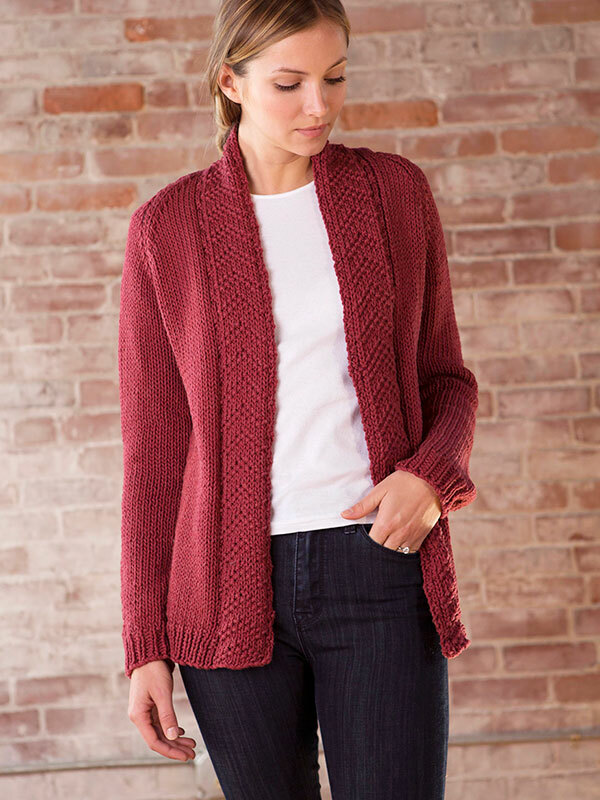 Karma knits up double quick, is easy on the hands and finishes beautifully in a crisp cotton ribbon. 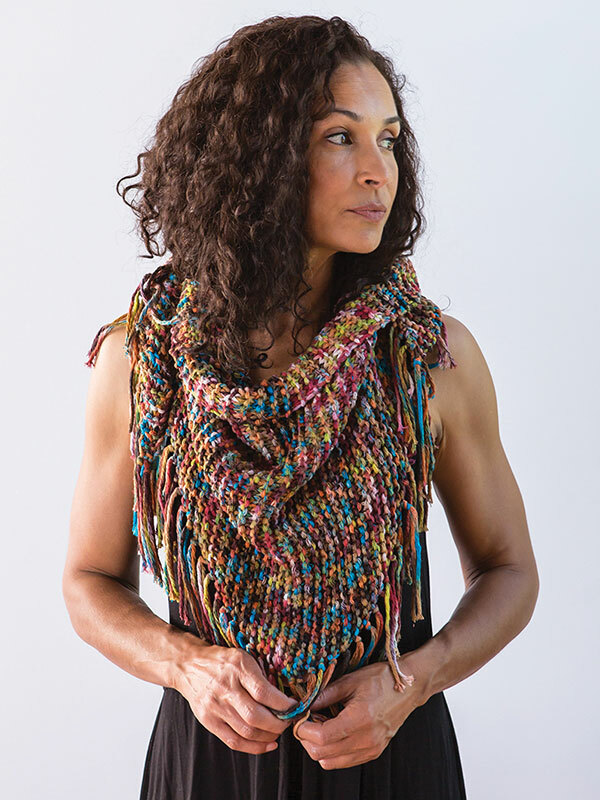 This is a yarn I will wear all summer long on cool evening and mornings. Berroco Weekend Chunky is a more classic yarn. The twist is nice and round – great for textures and cables. Weekend Chunky has a great range of patterns, but you could substitute it for any of the Vintage Chunky patterns, too. Berroco Espresso knits at the same gauge as Karma and is a great way to inject a splash of color into your knitting. Whats on your needles now? 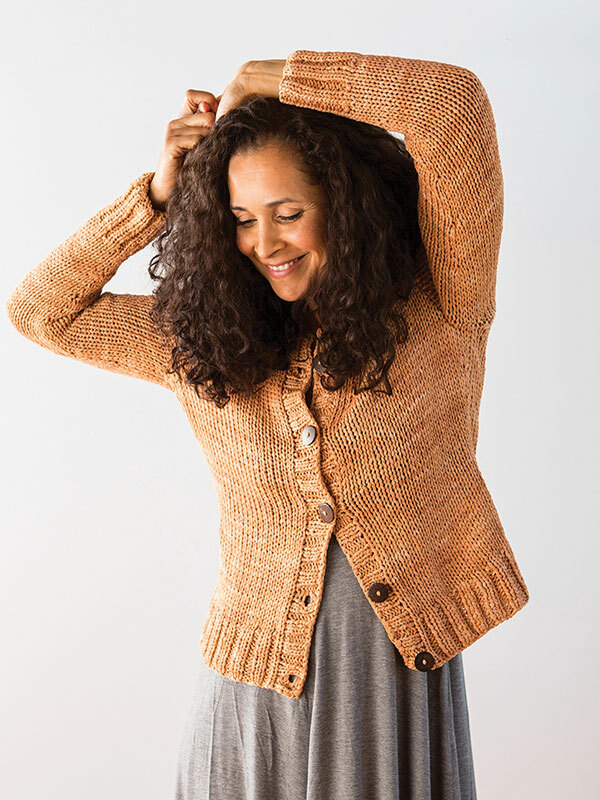 Do you knit for spring? I love mesh and open work lace like that first jumper. Great ideas!